In spite of the treatment at the hands of those in successive Crown Governments Taranaki Iwi continued to seek justice and seven Crown inquiries in the late 19th and early 20th centuries investigated the impact of the confiscations on our people. These culminated in the Sim Commission of 1926-27, which, although limited in the extent of its inquiries, was one of the first gave serious consideration to our grievances. Among other matters, the Commission found that the consent of Wiremu Kingi and his people was required for the sale of the Pekapeka Block, that Taranaki Maori were treated as rebels and war declared against them without cause, that in fighting against the Crown, Taranaki Maori were acting in self-defence and that the confiscations of land by the Crown should not have occurred. The settlement sum recommended by the Commission for injustices was a £5000 annuity and a £300 payment for the loss of property at Parihaka. The compensation was never discussed with Taranaki Māori. 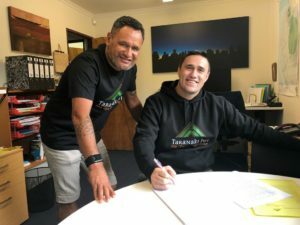 Taranaki, and other iwi of Taranaki, regarded the compensation as inadequate. Payments of the annuity for the first 17 years were irregular and, in the 1930s, were not fully paid. Nor, in years of high inflation, were they adjusted for the loss of value. 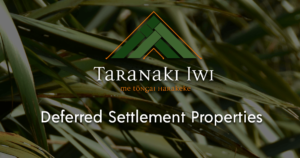 The settlement was enshrined in the Taranaki Maori Claims Settlement Act 1944 that stated Taranaki Māori agreed to the annuity and the £300 payment as full settlement of our claims arising from the confiscations and Parihaka. 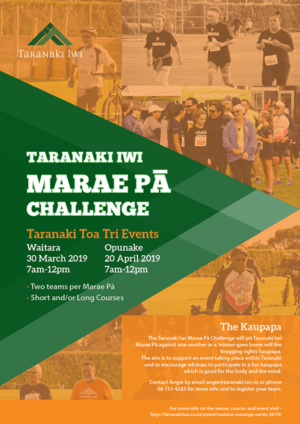 There is no evidence Taranaki, or any other Iwi of Taranaki, agreed to this. Taranaki Iwi rights were further eroded by legislation in the 1950s and 1960s when specific interests in reserves located within our rohe were removed and replaced with general interests in reserves throughout Taranaki and land sales to leases were made easier. By 1974 more than 63% of our original reserves under the control of the Public Trustee had been alienated. Loss of land also affected our capacity to sustain ourselves beyond the loss of our ability to cultivate food. Our access to rivers, lakes, forests, swamps and the foreshore was also impeded as alienated land close to these food gathering areas was enclosed. Such access difficulties continue to this day.